UNSD in collaboration with Statistics South Africa, the African Development Bank, UNFPA and the United Nations Economic Commission for Africa African Centre for Statistics, is organizing a Regional Seminar on Promotion and Utilization of Census Results and on the revision of the Principles and Recommendations for Population and Housing Censuses. The objectives of the Regional Seminar is to discuss lessons learnt and share national experience from the 2010 round of population and housing censuses with regard to effective strategies for promoting the dissemination and utilization of census data. The regional seminar will also provide an opportunity to gather the input of African countries towards the revision of the United Nations Principles and Recommendations for Population and Housing Censuses. The knowledge shared during the Regional Seminar will enable participating countries to promote utilization of their census data from the 2010 round and to better plan and develop strategies for utilization of data from censuses conducted during the 2020 round. The purpose of the Workshop is to present international standards for processing population and housing censuses and to highlight the significant additional capabilities of contemporary technologies and their use for census data capture and data editing. More specifically, the Workshop will: (1) Present revised international standards for conducting population and housing censuses, focusing on recommended core topics as identified in the United Nations Principles and Recommendations Revision 2; (2) Discuss ways of improving the management and planning of the census, including outsourcing issues; (3) Present and discuss contemporary technologies in census data capture, including the use of Optical Mark Recognition (OMR), Optical Character Recognition/Intelligent Character Recognition (OCR/ICR), Internet data collection, use of handheld devices for data collection, (4) Discuss the process stages for data capture, (5) Present an overview of major commercial suppliers for data capture; and (6) Present the principles and practices for census data coding and data editing. The workshop will also offer the opportunity to the participants to present the experience of their countries in census data processing. The United Nations Statistics Division is planning two back-to-back workshops on the Implementation of the United Nations Principles and Recommendations for Population and Housing Censuses, Revision 2 for English speaking African countries in Maputo, Mozambique, 30 October - 2 November 2006 and for French speaking African countries in Bamako, Mali, 6-9 November 2006. These workshops are designed to reach three major goals: (a) introduce the revised set of principles and recommendations, including the recommended tabulations as a new international standard; (b) provide an opportunity for participants to discuss these standards and to assess their feasibility and implementation in national census practices, and (c) through national reports prepared for these workshops, produce a list of the most pressing issues that national authorities are facing in preparing and conducting population and housing censuses. This list, in turn, will allow UNSD the planning of future inter-regional, regional and sub-regional activities as part of the implementation of the 2010 World Programme on Population and Housing Censuses. 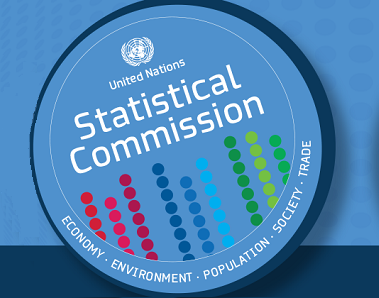 The purpose of the meeting is to introduce the revised United Nations Principles and Recommendations for Population and Housing Censuses, specifically to (1) present in details the new and revised international standards related to conducting a population and housing census; (2) critically review the process of selection of census topics and relevant questions for participating countries planning their censuses and for producing internationally required outputs, and (3) to discuss national preparations to conduct a census as per United Nations recommendations. The meeting will also address ways of instituting and fostering regional cooperation in ASEAN countries in conducting population and housing censuses.